Even if you've perfected your look for fall, getting there is another sartorial story. Sure, wrapping a huge blanket scarf around your neck sounds fine and dandy, but a few less-bulky outfit ideas while temperatures are still in limbo will come in handy. That's why we culled 20 standout ensembles to carry you seamlessly from summer to autumn. Scroll down to see the looks! Style Tip: Style a long coat over a belted blazer and tailored shorts. Polish off the ensemble with a cross-body bag and black ankle boots. Style Tip: Layer an oversized leather jacket over your LBD, and accessorize with a pair of wool socks. Style Tip: Pair a long coat with a knee-length skirt and ankle boots. Style Tip: Drape an evening coat over your shoulders and trade your open-toed sandals for ankle-strap pumps. Style Tip: Give your ensemble a collegiate vibe and pair a trench coat with a leather backpack and ankle socks. Style Tip: Wear a lightweight sweater over a button-down and cargo pants for an unexpectedly cool ensemble. Finish off the look with a statement necklace and ankle boots. Style Tip: Play up different textures and mix a chunky knit with a chiffon dress and suede thigh-high boots. 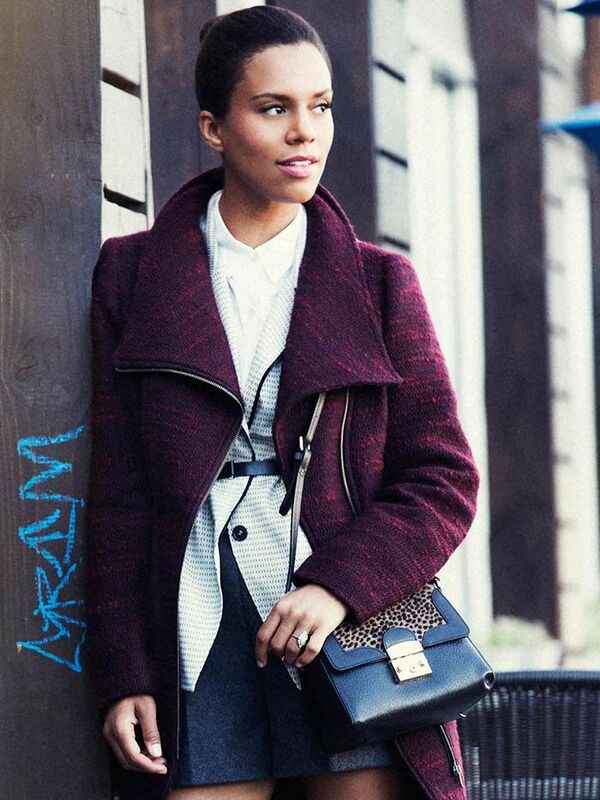 Style Tip: Swing a printed coat over your belted blazer. Style Tip: Team up your favorite leather jacket with a pair of pinstripe trousers and tassled loafers. Style Tip: Experiment with a sleeveless coat. Style Tip: Swap out a conventional sweater for an intriguing knit cape. Style Tip: Punch up your basic black tights with a full denim skirt and white tee. Style Tip: Mix and match noir outerwear pieces over pinstripe trousers. Style Tip: Wear a turtleneck underneath a belted floor-length shirtdress. Style Tip: Wrap a furry scarf around your neck and wear a shin-length frock. Style Tip: Add a pop of color to your outfit with a colorful cotton scarf. Style Tip: Tuck a cotton shirt into a printed pencil skirt and drape an oversized cardigan over your shoulders. Style Tip: Balance out a bold plaid suit with a structured bag and oxfords. Style Tip: Wear a two-toned knit cape with stiletto boots. Style Tip: Prolong the life of your overalls by layering a chunky sweater underneath them. Do you have any tricks for transitioning from summer to fall? Share them with us in the comments!